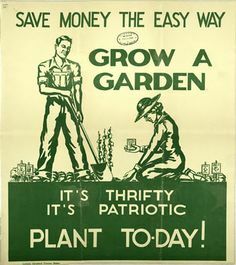 Throughout World War II gardening was a patriotic duty for UK citizens. Before the war the country had relied heavily on imported food. Now ships bringing essential supplies ran the gauntlet of German U-boats patrolling the principle routes. They did so in convoys, accompanied by British and, later, American war ships. Every patch of land capable of growing a food crop was cultivated. City parks and once ornamental gardens were turned into vegetable plots. Scrub land on hillsides was grubbed up and turned into farm land. Encouraged by such slogans as ‘Dig for Victory’, ordinary folk grew as much of their own produce as possible. For my mother, a city girl stranded in the countryside, this brought a new interest. She cultivated the garden alongside our stone cottage, growing a range of vegetables. This continued in the years following the war and, as I grew old enough to wield spade, fork, hoe and rake, I joined in. When we moved to the former Manse (which we renamed ‘Homelea’) our gardening activities continued. Mum’s new partner, Harry, was a keen gardener too. 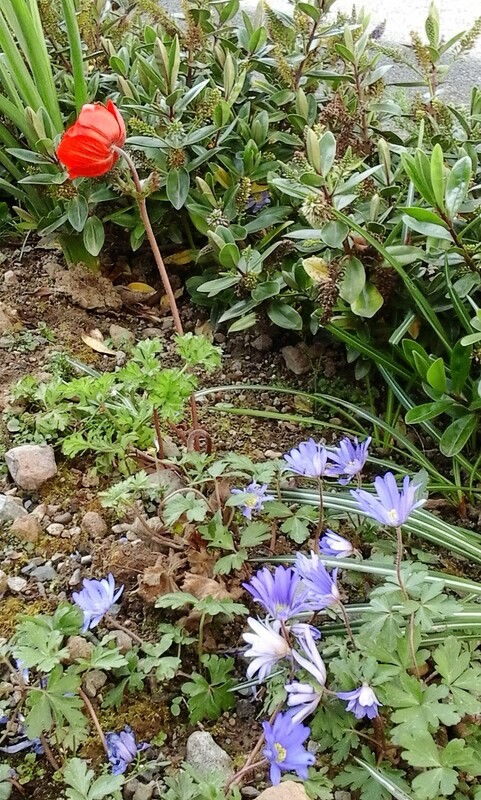 In addition to our own garden he maintained a garden belonging to an elderly lady. He was paid for this with a share of the crops produced. With ample supplies of vegetables, there was room for flowers too. 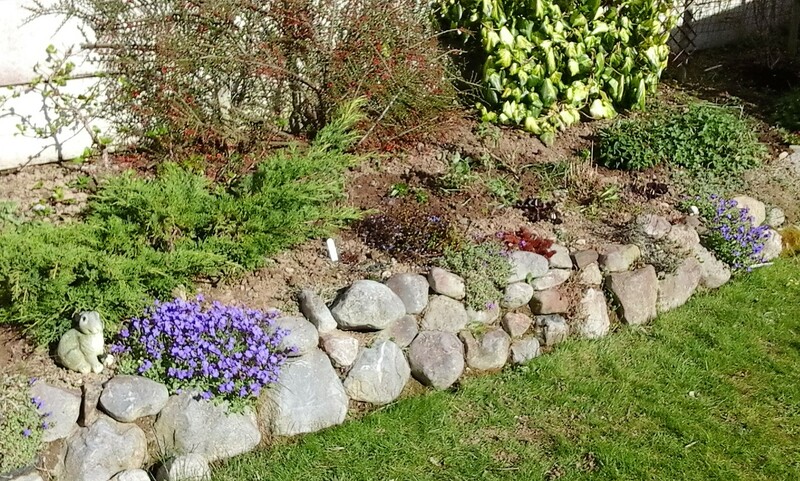 The front garden of Homelea was steep and narrow but the borders were filled with rose bushes and an assortment of perennial flowering plants. 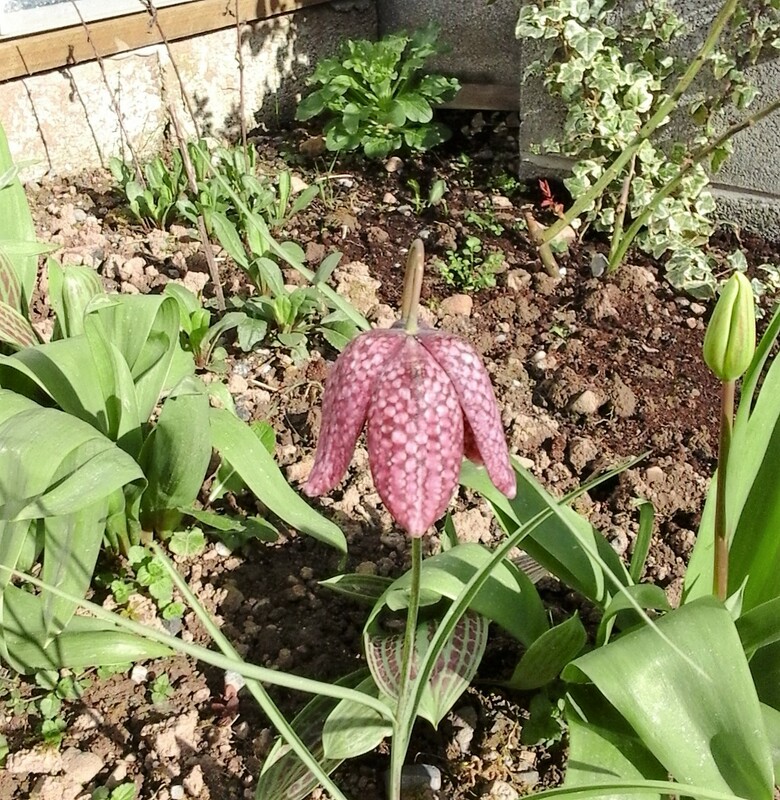 The first garden that I was able to call my own was at the modern terraced house we purchased from Hereford City Council in 1965. I grew vegetables the first two years. A toddler needs space in which to play, however, and the garden was small so I stopped growing vegetables and laid turf. The 1970s and ’80s were decades during which I had little time or inclination to devote to gardening. 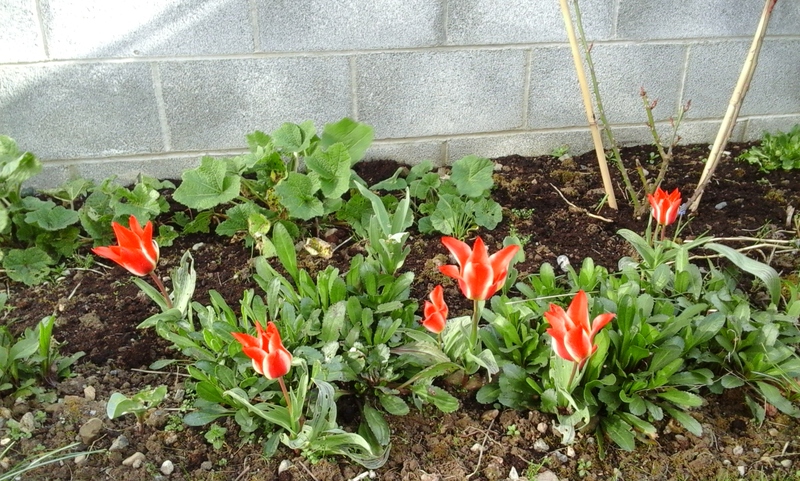 My mother, however, continued with her love of gardening and gardens. Even in her 80s, residing in a sheltered apartment block, she kept a collection of plants in containers outside her window. In 1991 my wife and I purchased a new semi-detached house in a village in East Yorkshire and here I renewed my interest in gardening, attempting to follow Geoff Hamilton‘s theories, creating a traditional kitchen garden. Unlike a work of fiction, a garden is never finished. The active gardener is constantly developing and reshaping his creation, all the time seeking to work with soil and climate to perfect a living work of art. In 2006 I passed on my East Yorkshire garden to the custody of another gardener and began creating the first of two Irish gardens. The first was much too small to satisfy my appetite for growing things. 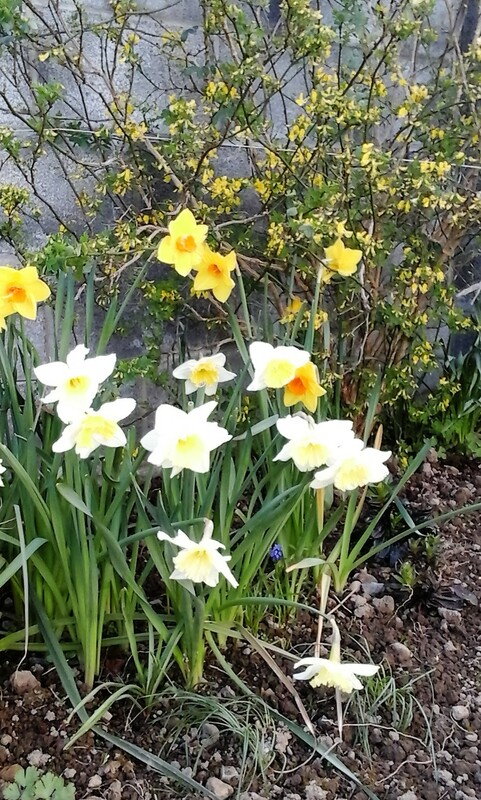 I am now into the fifth spring in my second Irish garden which is slowly developing into the kind of small piece of heaven I imagine a garden ought to be. Use the comments below to tell me about your own gardening exploits. By franklparker in General posts on April 8, 2016 . I don’t have a garden of my own right now, but someday….your pictures are beautiful, and I really liked the name Homelea! Great post, both in terms of living history and gardening. Right now we’re pulling the camellia bushes out from in front of our house. They don’t get enough sun. Heavenly Bamboo is pretty and should grow into a good hedge to screen our dining room window from public view. Thank you! I imagine your garden is very different to mine. You might like my contribution for the letter I, coming on Monday, it’s about Indian food! … Have s great time ahead … ! !